In these Advent and Christmas seasons, Bostonians can pick from dozens of Messiahs—including several of an international level. Indubitably, Boston Baroque’s as directed by Martin Pearlman at Jordan Hall on Friday night, was one such. Chorus, orchestra, and soloists celebrated Handel’s most beloved work with color, emotional commitment, and virtuosity. As always, Pearlman fielded a fine quartet of soloists equipped with beautiful voices and great musical gifts: soprano Jeanine De Bique (her Boston Baroque debut), countertenor Christopher Lowrey, tenor Thomas Cooley, and bass-baritone Dashon Burton. For those old enough to recall the ponderous, quasi-Romantic approach to Messiah that held sway from the 19th century until the 1980s, the oratorio’s opening “Symphony” (i.e., overture) constituted a quick instructional in “original instruments”: buoyant and crisp. (Pearlman’s enlightening program notes alluded to the influence of Baroque dance rhythms and speech patterns.) Thomas Cooley made use of his warm tenor in “Comfort ye”—with a fittingly elaborate ornament on “warfare”—and his coruscating coloratura in “Every valley”. The opening chorus, “And the glory of the Lord” had precision, transparency of texture, dynamic variety, and hemiolas subtly pointed out. Dashon Burton cut a dramatic figure merely by standing up; it’s not every day you see an oratorio singer with dreadlocks down to his waist who is also the possessor of a powerful bass-baritone. In short, he was a Central Casting ideal for God talking about shaking everything up. Countertenor Christopher Lowrey had the measure of the dichotomous aria “But who may abide”, spinning a silky legato in the slow, melancholy sections and going incendiary in the prestissimo ones. Perhaps hoping to continue the adrenaline rush, Pearlman then launched the demanding chorus “And He shall purify” at a slightly too ambitious tempo, leading to a few slightly ragged melismas; an infinitesimal relaxation of the pulse made the choral coloratura “lock in” whereupon it impressed. Burton again displayed a gift for drama and a large vocal range in the recitative and aria about darkness covering the earth, though if he covered consonants as an intentional effect, it should be reconsidered. The chorus and orchestra handled the difficult runs of “For unto us” with consummate skill, and the climaxes thrilled. The orchestral “Pifa” depicted appropriately light-sleeping shepherds. Soprano Jeanine De Bique began her sequence of recitatives confidingly but gradually stoked the excitement as one angel turns into a multitude. The culminating drama of the chorus “Glory to God” was the result, heightened by opening the stage door to allow offstage trumpets to be heard. De Bique returned for a jubilant “Rejoice greatly”. Blessed with enviable breath supply and coloratura agility, the soprano made the aria sparkle, not unlike the festive gown she wore. Lowrey’s “faith-healing” recitative was especially notable for the vividly pictorial dotted rhythms of “Then shall the lame man leap as an hart”. The two-part “relay” aria “He shall feed his flock” was sung tenderly, first by Lowrey and then by De Bique, with more than a hint of terrestrial/celestial contrast. The chorus “His yoke is easy” is in fact not an easy piece to sing, but BB’s delicious, springy performance made it seem so. Part II commenced with a stark mood change (indeed, the whole of Part II is a sequence of such changes), the musicians emphasizing the jagged rhythms of the chorus “Behold the Lamb of God”. Lowrey gave full emotional commitment to one of the oratorio’s most poignant arias, “He was despised”, using ornamentation in textbook fashion for this purpose. The one small irritant was Lowrey’s long vowel for the initial “e” of “despised”, partly because the word crops up so many times. However, the scourging middle section’s orchestral dotted rhythms were electric, and Lowrey’s delivery was theatrical in the best sense. Similar rhythms, executed with precision and passion, and (later) clashing harmonies—in an unusual key—made the chorus “Surely He hath borne our griefs” an emotional highpoint as well. Some of Handel’s finest musical painting comes in the chorus “All we like sheep have gone astray”, and BB sounded exemplary here: at “astray” the choral parts seemed to wander off into the distance; later, at “turned” each choral part successively contributed, in its own range, the same virtuosic rotating figure, though here again, the very fast tempo sometimes approached the limits of choral cohesion. In a subsequent chorus, “He trusted in God”, the singers, functioning very much like the mob in Bach’s Passions, projected convincing nastiness—while maintaining excellent choral discipline. Cooley infused his sequence of recitatives and arias (beginning “Thy rebuke hath broken His heart”) with plenty of heartache until the final aria: its hope was equally affecting. In “Lift up your heads”, the choir, though technically beyond reproach, didn’t consistently seem as triumphant as the text would warrant. Lowrey was satisfyingly showy in “Thou art gone up on high”, aided of course by brilliant instrumental accompaniment. Despite being relatively brief, the chorus “The Lord gave the word” had considerable dramatic weight along with precise ensemble in a particularly busy texture. De Bique’s next aria, “How beautiful are the feet”, lived up to its title; it also had a certain wistfulness which, in view of recent headlines, seemed apt when speaking “of them that preach the gospel of peace”. Soon enough, though, Handel, via Burton, was describing reality in “Why do the nations so furiously rage together?” Using the rhythmic strife of triplet eighth-notes against plain sixteenth-notes is another masterstroke of text-painting, and the performance by Burton and the band under Pearlman was hair-raising. The chorus that follows, “Let us break their bonds asunder,” is also a spine-tingler and perhaps a bit of a choral patter song; BB delivered the goods with both clarity and impact. Cooley made muscular use of the marcato, disjunct writing of “Thou shalt break them”, and the strings did likewise with Handel’s much varied articulation. Part II ended with the “Hallelujah” chorus, with booklet readers advised in witty fashion to stand or sit as they pleased. My personal harrumph: Whether or not the custom began when an English king’s poor leg circulation compelled his court to rise with him, it does single out for the spotlight the part of the oratorio that least needs it. In any case, BB’s rendition had exuberance and unflagging energy—complete with choral trills!—while the trumpet and timpani added to the Easter celebration. The final section of Messiah deals with death and resurrection, beginning with the exquisite soprano aria, “I know that my redeermer liveth”, a moment of bel canto bliss from De Bique. It must take the combination of composer of genius with gifted singer and instrumentalists to make text such as “though worms destroy this body” a beautiful thing. Pearlman’s choral artists made the hushed a cappella sections of “Since by man came death” secretive and frightened in contrast to the great proclamations of resurrection which alternated. In the oratorio’s only duet, “O Death, where is thy sting?”, Pearlman had picked his alto and tenor well; Lowrey and Cooley blended mellifluously and expressively. This brief gem led straight into the chorus “But thanks be to God” (Handel ingeniously works in some of the melodic material of the duet) which served to lighten the mood again after the parting warning of the duet: “ … the strength of sin is the law.” The summation of Part III—and of the oratorio—arrives in its final chorus, “Worthy is the Lamb that was slain”, with its great concluding “Amen” fugue. Pearlman and company charted a satisfying middle course, neither lightweight nor pompously monumental but grand as befit a masterwork of two and a half hours. The well-earned standing ovation recalled conductor and soloists to the stage repeatedly. For us lucky concertgoers in the Boston area, the seachange took place in 1967 (even earlier in NYC), when Thomas Dunn arrived to lead the Handel and Haydn Society. Some very interesting discussions about claims of local primacy in hysterically informed Messiahs happened in BMInt reviews of Boston Baroque here and Handel + Haydn here. I am surprised that in a review of this thoroughness and length you failed to even mention what I considered to be the highest point in the evening’s performance. The aria “The Trumpet Shall Sound” (arguably a duet) was simply spectacular! Bass Dashon Burton and trumpeter Robinson Pyle seemed so attuned to each other that it was as if they were sharing a single mind. It was not only technically astonishing, but also musically satisfying, with the emotional impact of the text shining throughout. Apparently I was not the only one who felt this way, as the crowd erupted into spontaneous, and well deserved, applause at its conclusion. I’m delighted that BosBar’s Messiah has gotten the review it so richly deserves (with Kelly Sanders’s addendum). We’ve looked forward to hearing it every year since we arrived in Boston in 1979, and it starts the holiday season in fine style. Marty’s no-nonsense, straightforward reading of the piece lets Handel’s brilliance shine through. 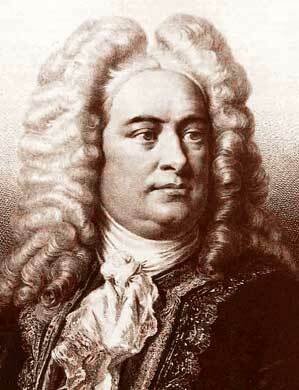 If Emmanuel Music brings you “Bach as Bach heard Bach,” Boston Baroque surely brings you Handel as Handel heard Handel. The chorus, as always, was dazzling in its incisiveness and lyricism, the band the same, and the soloists divine. Their engagement with the work even when they weren’t singing was delightful to watch. We are always amazed at the young talent Marty finds year after year, and we look forward to the next crop he brings us. In short, this Messiah is merely perfect!